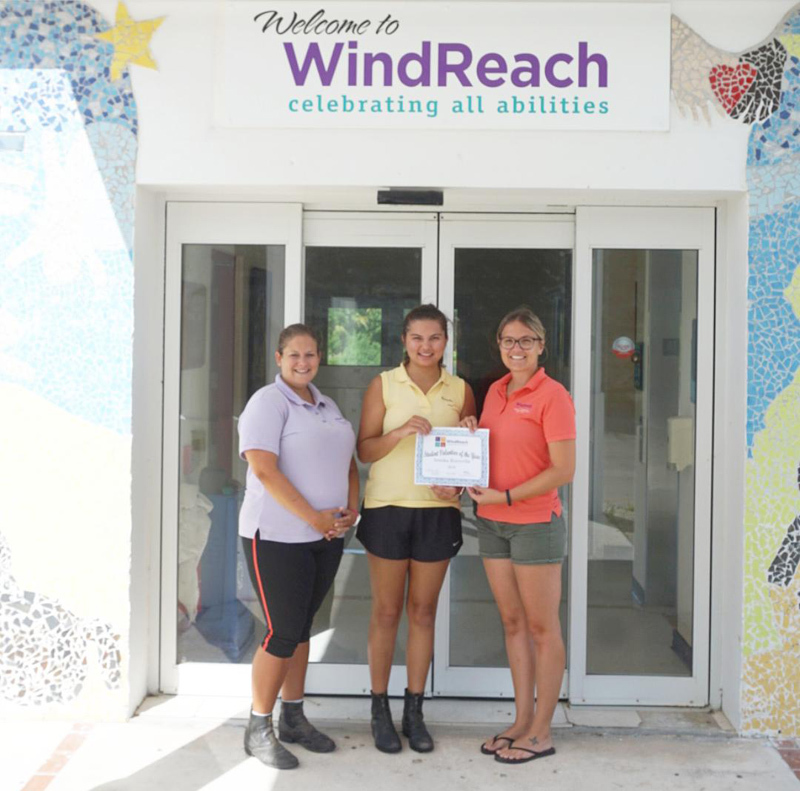 WindReach recently held their Volunteer Appreciation Event, where they honoured the services of more than 80 volunteers that assist with the delivery of programmes for Bermuda’s special needs community and announced the Student Volunteer of the Year, Annika Kuruvilla. This is the first year WindReach has presented the award, which looks to recognize a student volunteer between the ages of 15 and 19 based on the guidelines demonstrated through volunteerism at WindReach understands excellence in community service and wholeheartedly supports the Organization’s vision and mission; strives to create impact by acting above and beyond their expected voluntary position; demonstrates initiative and leadership that supports the Organization’s therapeutic and recreational programmes; a positive role model that inspires and encourages others; and fulfills their role with dedication, consistency, willingness and enthusiasm. Annika, 18, in the BHS IB Programme graduating year of 2018, began volunteering at WindReach in September 2016. 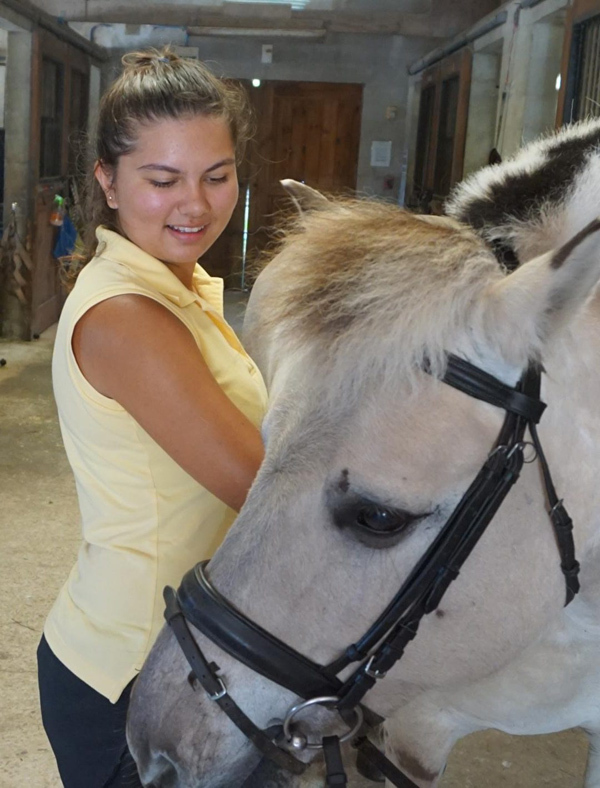 Annika has given her time to assist with stable chores, weekend animal feeding and turn-out shifts, provide horse husbandry, assist with Stable maintenance and basic operations, leading ponies in lessons for individuals with special needs under the Therapeutic Riding Instructor’s guidance, facilitating educational and recreational petting zoo tours and supporting the WindReach staff with camp and group activities. The organisation said, “Paige looks forward to presenting this Award again in June 2019 at our Annual Volunteer Appreciation Event and accepts nominations of WindReach student volunteers from WindReach Volunteers, Participants, Staff and the WindReach Board of Directors. Congratulations, Annika! Well deserved! Windreach should also be congratulated for running an excellent program helping so many of different abilities. Windreach is like family and an amazing place to volunteer for.